Splunk supports three types of authentication: Native Authentication, LDAP and Scripted Authentication API. For most part, Native Authentication is referred as Splunk authentication, which takes high priority over any external authentication. So, if an user exists in both Splunk native authentication and LDAP, Splunk will use the user in the native authentication. Typically, you’ll create an user, and then assign the user to a role. This is called role-based access control system. You can do this either using Splunk CLI or from Splunk Web. Username are case-insensitive. So, both “johndoe” and “JohnDoe” are the same user. 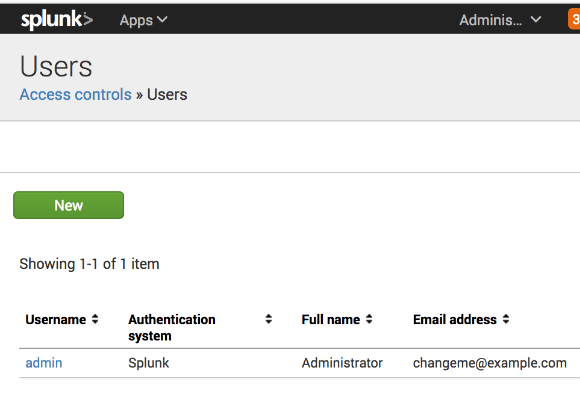 This tutorial explains how to create and manage Splunk users and roles. Use splunk add user command as shown below to add a new user. # splunk add user ramesh -role Admin -password rameshpassword -full-name "Ramesh Natarajan"
If the given role doesn’t exist, you’ll get an error as shown below. # splunk add user jason -role ReadOnly -password jasonpassword -full-name "Jason Bourne"
Use splunk list user command as shown below to get a list of all available users in your system. Use splunk edit user command as shown below to edit the details of an existing user. In the following command, we are changing the full-name of the given user. 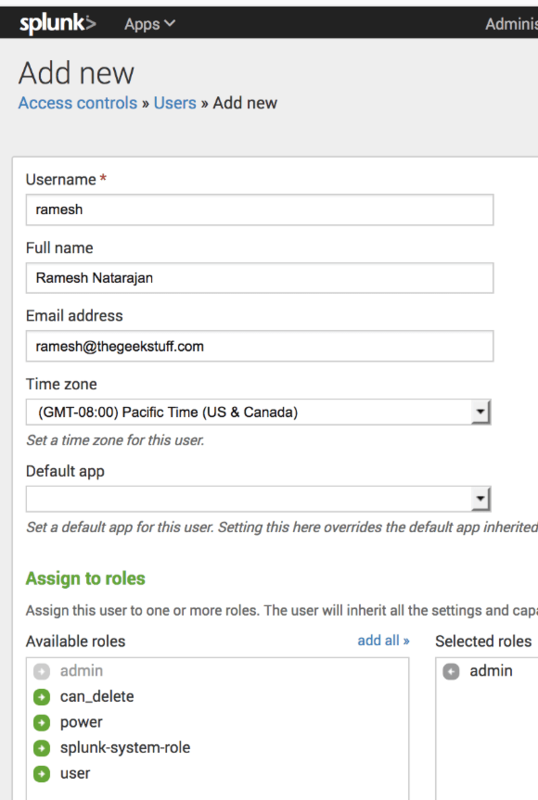 # splunk edit user ramesh -full-name "Ramesh N"
After editing, make sure the changes are reflected using splunk list user. Let us quickly add an user and then delete it. # splunk add user jason -role Power -password jasonpassword -full-name "Jason Bourne"
Use splunk remove user command as shown below to delete the given user from splunk native authentication. If the given user doesn’t exist, you’ll get the following non-existent error message. 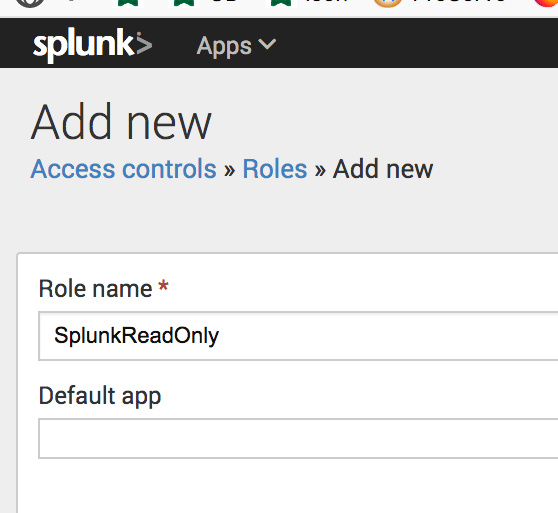 In handler 'users': Could not get info for non-existent user="jason1"
Use splunk edit user command with -role option as shown below to assign an existing user to a different role. Initially, when we created ramesh, we assigned Admin role. The following will reassign ramesh to Power role. Verify that the role is changed for the user. power – One level down from admin. You can edit shared objects, alerts, tag events, etc. 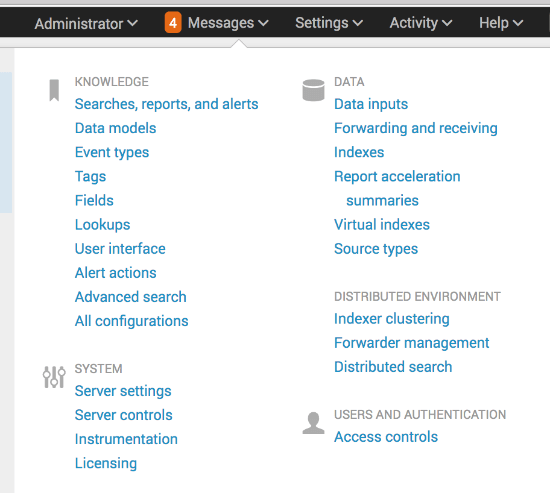 user – Assign this for typical splunk user who can run searches, edit own saved searches, etc. can_delete – Allows user to delete by keyword. 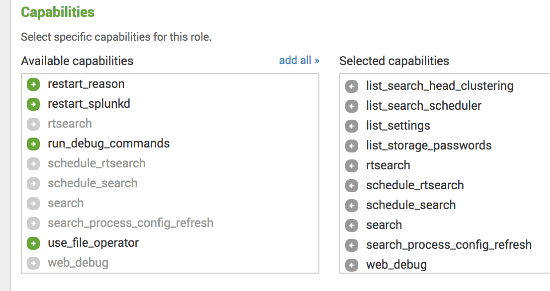 Use splunk list role command as shown below to display all available roles in your system. As you see from the following output, it will also display the capabilities that are currently associated with the role. Using splunk CLI command, you cannot add a new role. However, you can add a new role using REST API. 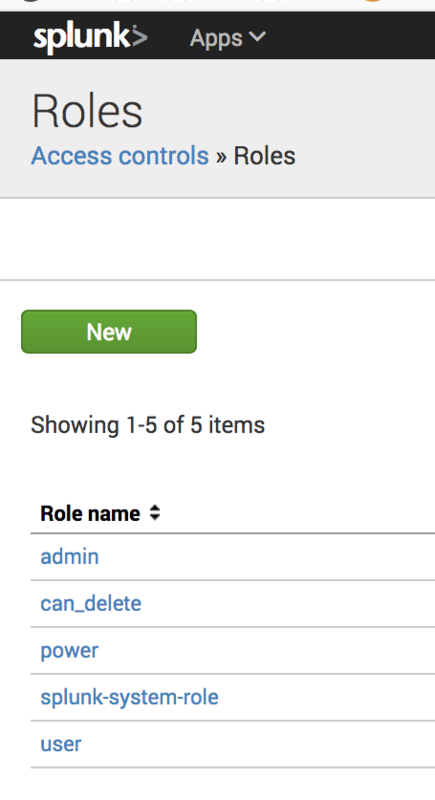 Use splunk remove role command as shown below to remove an existing role. To view all the users from the console, login to splunk web -> Click on Settings, which will display the following setting menu. 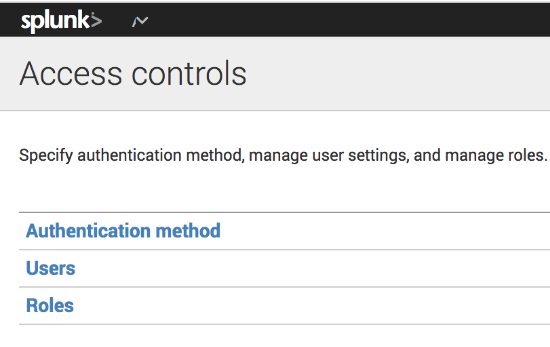 This will display the following access control menu, from where you can either add user or role. 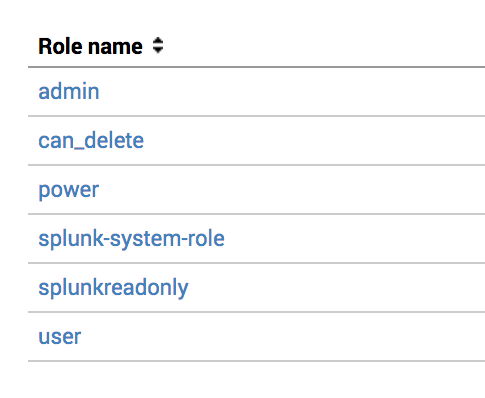 Click on Users, which will display all available users in splunk as shown below. Click on New from the user list. This will display the following dialog where you can enter information about this new user. In the above, apart from entering users basic information, you can also select the role that you want to assign to the user. Once the user is created, it will be displayed in the user list as shown below. 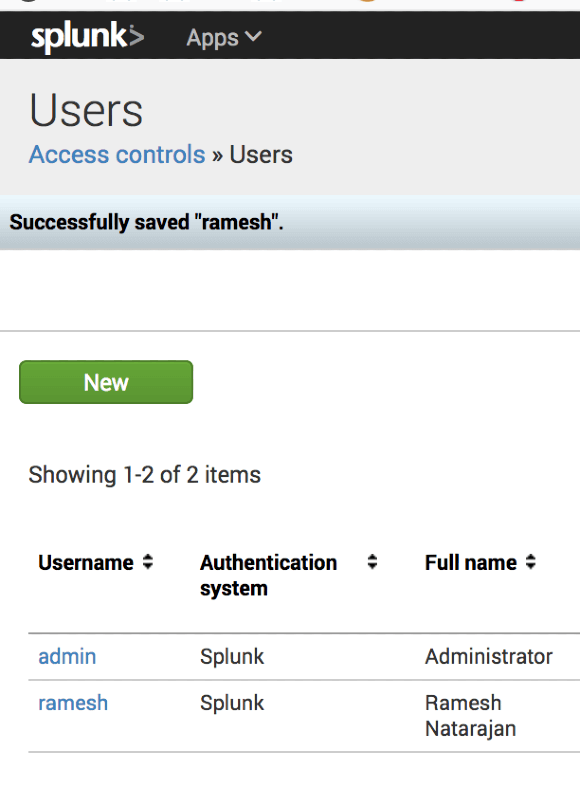 To view all the users from the console, login to splunk web -> Click on Settings -> Users and Authentication -> Click on “Access Controls” -> Click on “Role”. This will display all available roles in splunk as shown below. Enter the role name and other basic information as shown below. In our example, we are creating a role called splunkreadonly. For the new role that you are creating, you can also inherit capabilities from existing roles. Apart from inheriting capabilities from existing roles, you can also explicitly specify capabilities fort the new role as shown below.